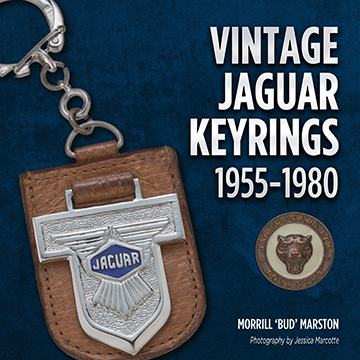 If you thought vintage Jaguars are interesting, just wait until you see vintage Jaguar key rings. 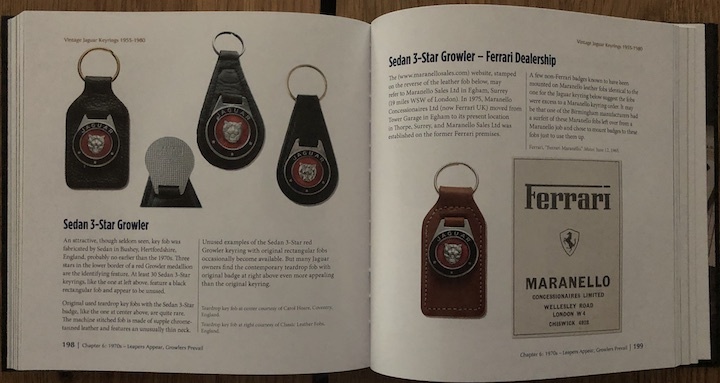 On the other hand, if “growlers” and “leapers” aren’t in your everyday vocabulary, beginning with a niche subject such as this may not be the most gripping introduction to a storied marque. That said, pretty much anyone with an interest in enamel or cloisonné (or, similar but different, champlevé) will find the discussions of technique in this book useful. Pondering the mere possibility that a book like this, and quite elaborately produced too, should successfully wend its way through a publisher’s acquisitions process brings to mind an oft-overlooked path to print: pay to play—an author could self-publish or, as very likely happened here, pay a publisher (upfront or a future revenue split) to take a book to market. 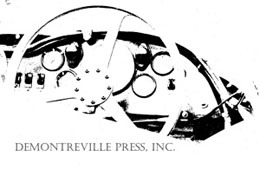 Whatever the case, here we have a fine book that meaningfully expands the record. 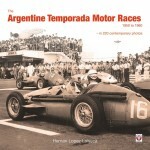 It is noteworthy that the collection of 300+ that is now hailed by peers as “the largest of its kind” didn’t exist before the book was conceived but because of it, when the author realized he couldn’t find enough representative and pristine enough examples to photograph for a thorough survey. “Clearly,” he writes, “a personal collection would be needed.” He does, however, also draw on specimens from other collections but still presents his findings as “primer, not a definitive history.” This is the obvious and prudent thing to say but, realistically, who could top this? 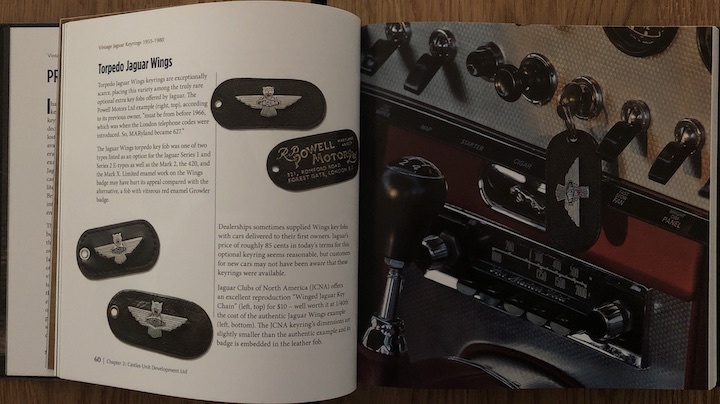 Which is the long way of saying if you needed a book on Jaguar keyrings and related paraphernalia, don’t be waitin’ for another one. 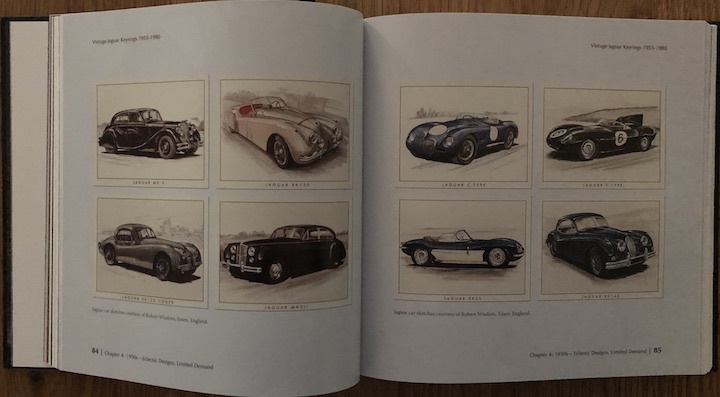 It all started with Marston buying a 1961 E-Type. 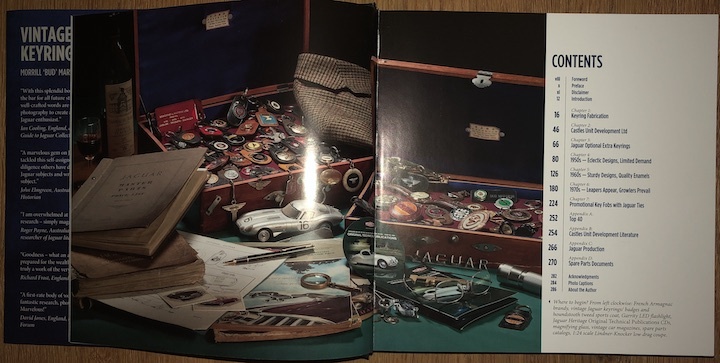 Anyone who can take a Jaguar to JCNA National Champion level is just the sort of minutia-oriented person who would turn over every rock to find published material on even the smallest detail (he’s a JCNA judge too). Of course, not every one then writes their own book if they can’t find one! It helps to be, as he is, an award-winning writer (Defense Intelligence Agency Hall of Fame) to not be afraid of the task. 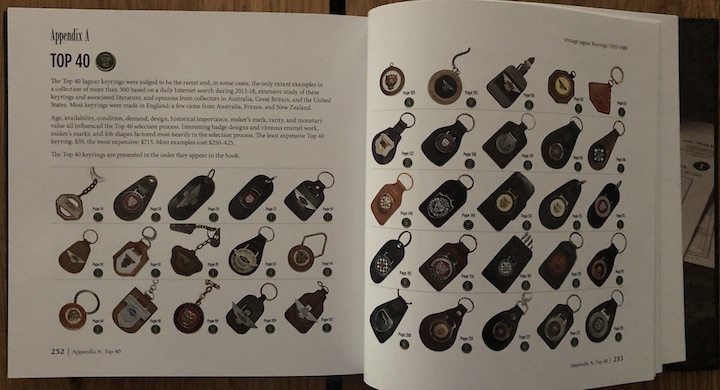 Bits like keyrings are complicated to research because they were made by many sources, to all sorts of specs, with or without the carmaker’s approval—and probably no one kept exhaustive records of anything. 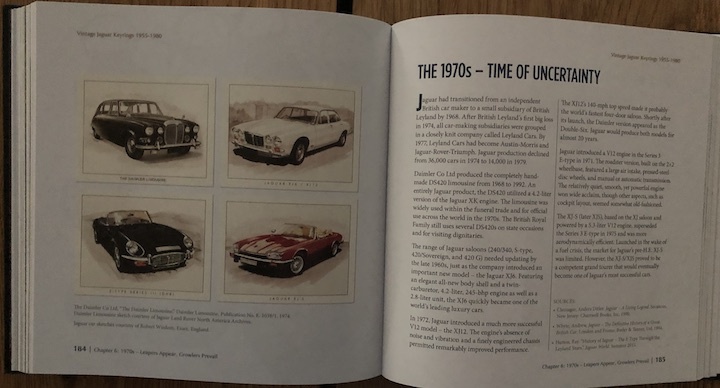 Jaguar, in fact, “almost certainly never” made its own so even when they are listed in factory brochures as optional extras, they were bought in. 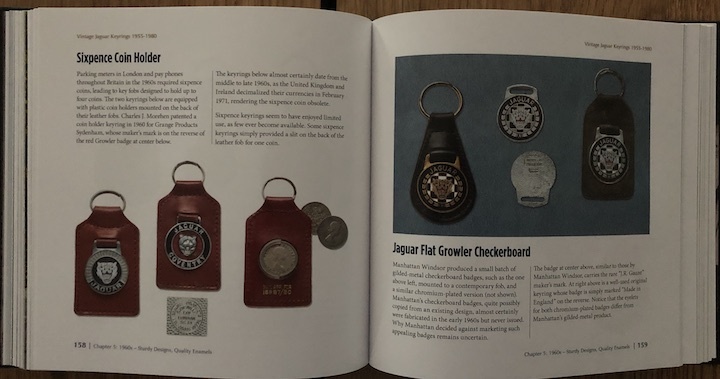 And then there is the whole subset of promotional keyrings that used Jaguar motifs in the course of promoting other goods or services, or the black hole that is mismatched fobs and badges. There is an explanation for everything (also for the items not included here! 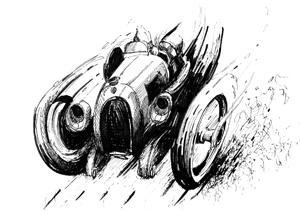 ), even things you may have never thought needed explaining, from solid gold and silver to plastic throwaways. 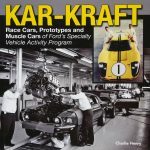 The book is positioned as a “general recognition and reference guide” and parses the subject principally in chronological order. General questions of fabrication, with special focus on the big maker Castles Unit Development, are discussed first. Appended are the Top 40 as decreed as the rarest by a consensus of experts (and partly based on an analysis of internet searches for keyrings). 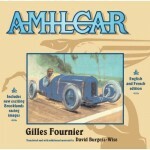 A Deluxe Edition of 100 signed and numbered copies is available at $135/£95.